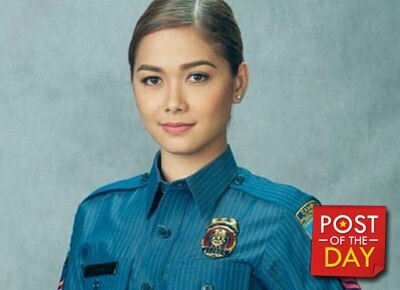 The actress exits top-rating teleserye "Ang Probinsyano"
On her Instagram account, Maja Salvador said goodbye to her Ang Probinsyano character SPO1 Glenda Corpuz. "Glen" got injured during one of the police missions and has decided to live a quieter life in the province. Although she did not specify why she was bowing out of the show, the actress thanked everyone who welcomed and supported her during her time on the teleserye. She lastly thanked co-star Coco Martin and their followers called the CocoJams. Salamat Ang Probinsyano Family. Thank You sa Staff and Crew Thank You Direk Malu Thank You Direk Avel Thank You Direk Toto Thank You Dreamscape Thank You Sir Deo Thank You Coco Thank You Cocojams mahal ko kayo. Salamat sa suporta niyo at sa grabeng pagmamahal sa amin ni Coco. This is Spo1 Glenda Corpuz now signing off.